If you want to "unshroud" the mysteries of your car or truck's electrical system, Automotive Wiring and Electrical Systems is the book you need! Anyone who looks at a car's wiring harness for the very first time, feels that sinking sensation, but the cause is not the maze of wires, connectors, relays and plugs in front of their eyes but, rather, the know-how and understanding of how a wiring system works. In addition to all the technical lingo and explanations, Candela also tells and shows you (this book has hundreds of close up, detailed color photos), all the tools and equipment you'll need for specific tasks. But he does not stop there. 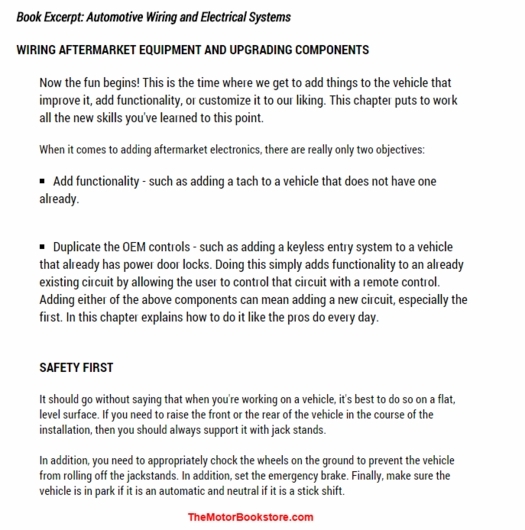 He also explains how to perform each job, ranging from basic stuff to complex tasks, such as installing aftermarket electronics to building your own wiring harness. 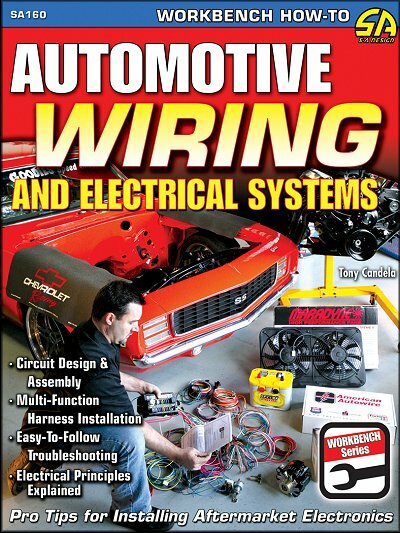 This book is an essential guide for the DIY mechanic and it will enable you to troubleshoot electrical problems, wire your hot rod or muscle car from sratch and so much more. Disconnecting the Battery — When? Ask a question about Automotive Wiring and Electrical Systems: Wiring Harness, Troubleshooting, Electrical Principles, more.